Twin and adoption studies and stories are gold to those interested in the never-ending nature-nurture debate. As a political pinko, I easily bought into the idea of the transformative potential of environment to trump genetic endowment. That was until I adopted my son 22 years ago. By the time he was four, I was a convert to the awesome power of genetics. My experience, plus oodles of research, convince me that genes load the gun. Environment, of which parenting is only one part, can perhaps alter the effects of DNA but cannot neutralize the trigger. To my mind, and to an increasing body of scientific knowledge, nature doesn’t act alone but nurture is never the fix. 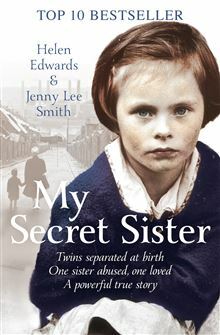 My Secret Sister, a best-selling memoir by British twins Helen Edwards and Jenny Lee Smith, separated at birth and raised in radically different circumstances, adds to the evidence that genes matter most. Helen grew up in a pit village in Tyneside in the post-war years, with her biological mother and, she believed, her biological father. But, as she would discover in her sixties, she was the product of an affair. That fact helped explain why both her parents were brutes who blamed her for everything that went wrong in their tempestuous relationship and tumultuous lives. Although Helen had a brother, a granny and assorted relatives who provided some succor, still she could be the poster girl for the abused child. Her life was hell, period. But despite her hellish circumstances, she became a trained nurse, and later a hypnotherapist and psychotherapist. 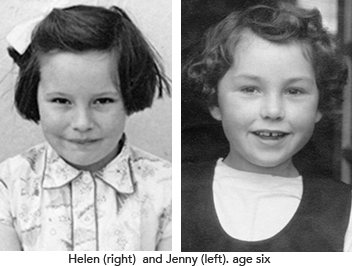 Meanwhile, her twin, Jenny, adopted in 1948 at six weeks old, grew up in Newcastle, an only child, adored and indulged by her middle-class parents. With the love and support of her devoted parents, she became a championship golfer best known for winning the very first Women’s British Open Golf Championship in 1976. Twice awarded the Order of Merit, Jenny was the highest-earning woman golfer on the European tour in 1981 and ’82. Her life was heaven, period. For separated twins, however extraordinarily joyful their reunion, their journey stands out most for being garden variety. The story is almost always the same: no matter the extreme variance in upbringing, the sibs emerge remarkably alike in many remarkable ways. Genes prevail.